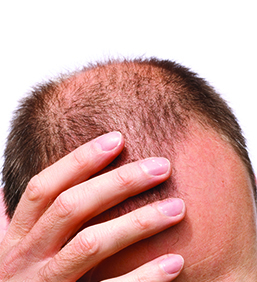 Hair loss is indeed bothersome, and it would be ideal if we could postpone it as much as possible. If you love your hair, then go through the following points to find out why we grow bald, and what you can do in order to mitigate the effects of balding. Well, as we grow old our hair becomes thinner. No one can tell when the excessive hair loss will start to occur, since it is a gradual process, but old age and genetics play crucial role in it. In other words, there is no way to prevent this type of hair loss, considering it is simply nature taking its course. What you can do is wear a wig, or undergo a hair transplant procedure in order to compensate for the lost hair. Prolonged exposure to emotional stress, like in cases of terminally ill loved one, divorce, etc. you are likely to start losing hair. Until this stressful period passes you won’t be able to do much for your hair. Moreover, physical stress or physical trauma can be a more potent trigger for hair loss, however, just like with the previous case, your hair will start to grow back once your body fully recovers. Are you paying attention to your diet? It takes two to three months, once the intake of protein is reduced to feel this side effect. So, the best thing to do is simply alter your regime a bit and start eating more fish and meat, to make up for the lost protein. A more uncommon cause is a vitamin B deficiency, but all you need to do is take some vitamin B pills to even up the scale. However, be warned that there are vitamins that can cause hair loss. For example, one of the causes can be highly increased intake of vitamin A, so do not rule out that option. 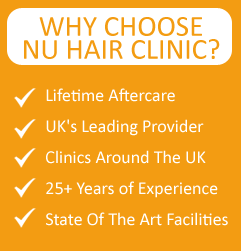 Finally, it is worth mentioning that some conditions or treatments can be held responsible for your loss of hair. As stated physical stress can be a trigger, as well as conditions like anaemia (iron deficiency), Hypothyroidism, Lupus, Polycystic ovary syndrome, and if you are undergoing chemotherapy a hair loss is likely to occur. In other words, your hair loss maybe a symptom of a more serious problem, or a side-effect of your therapy. This entry was posted on Thursday, August 6th, 2015 at 10:44 AM	and is filed under Follicular Unit Extraction, Hair Loss Treatment, Hair Transplant, Hair Transplant News. You can follow any responses to this entry through the RSS 2.0 feed. Responses are currently closed, but you can trackback from your own site.